Still adding to my reading list, really like the sound of Ransacking Paris. 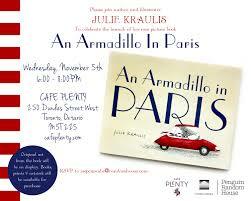 Tamara, just when I thought I was getting my Paris reading under control -- a new group of books I haven't read! On the list! I'll email you about the bicycle trip through Canada. I can also connect you with Rick's email if you are interested in more specifics! It was terrific! Unfortunately moving house got the better of my Paris in July intentions this year, but I did enjoy seeing what everyone was up to. I'm glad you enjoyed An Armidillo in Paris; I thought it was delightful too. I have Ransacking Paris in the house and would love to get to it soon. Great to hear that you liked it so much. I've read some David Leibovitz, but not that one, I think I read his Sweet Life in Paris. Glad you got through your books, even if a little late. 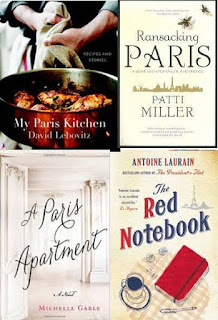 I've got The Paris Apartment and one of David Lebovitz's books for next years Paris in July but I've added Ransacking Paris to my list thanks to your review and interview with Patti.